A perfect party "go to" appetizer! Easy to put together too! A great, tasty, sweet, and savory snack. 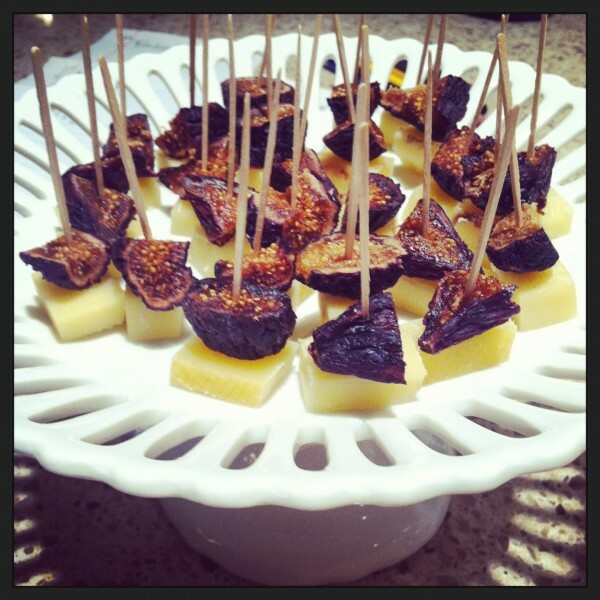 -dice dried figs and cheese and place on toothpicks, putting figs on first and cheese second. Your cheese & figs will stand on their own with the cheese as the bottom.